Toss the sliced carrots and zucchini with the Coconut Oil, salt and pepper. 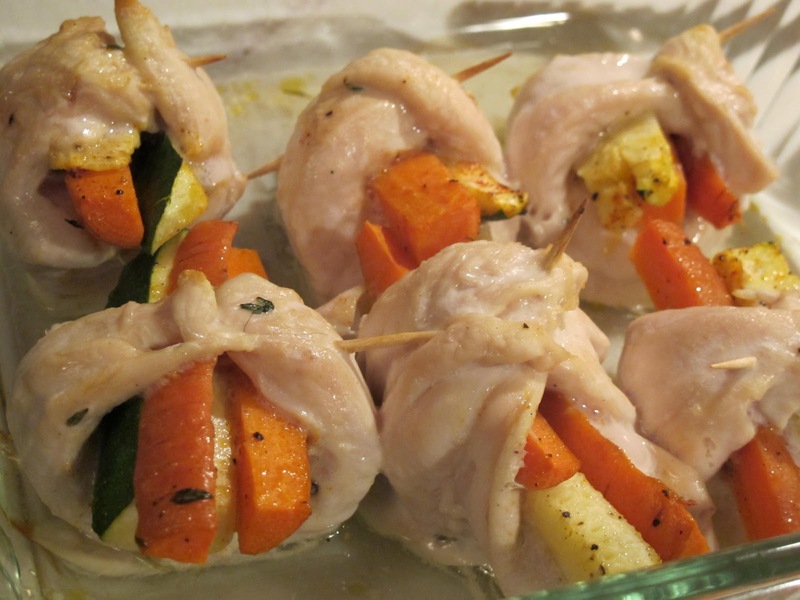 Place 1 or 2 zucchini and 1 or 2 carrot slices in the flattened chicken breasts, roll them, and secure with a toothpick. Place chickens in a baking dish and poor the chicken broth over the chicken roll-ups. Bake for 45 minutes.